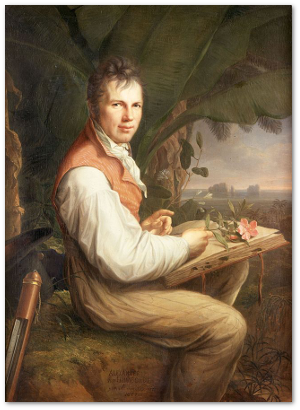 Alexander von Humboldt traveled to the New World with botanist Aime Bonpland at the turn of the 18th century. After his return to Europe, he wrote up his travels in such books as Historical account of the voyage to the equinoctial regions of the New World, made in 1799, 1800, 1801, 1802, 1803, and 1804, aimed at both scientists and the general public. 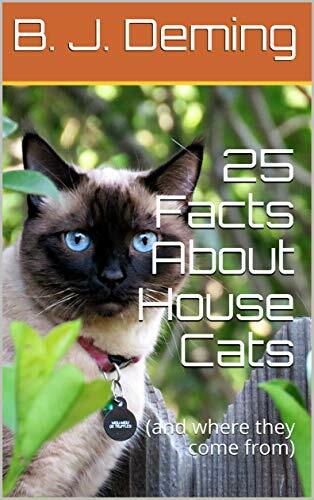 Many of the individual volumes were best sellers. This scientific traveler’s observations inspired explorers from Charles Darwin to John Muir. Humboldt also laid the basis for such fields as biogeography, modern meteorology, anthropology of the New World, and environmental science. Yes, as we saw last week, Alexander von Humboldt’s life would make a terrific biopic (this would be an appropriate soundtrack). There were several false starts before Humboldt could get going. The details are a little unclear, but certainly the political and social turmoil of Europe during the Napoleonic Wars often thwarted him. In 1797, Napoleon’s Italian campaign forced Humboldt to cancel his plans to study Italy’s volcanoes. In 1798, some say, he was set to join a British scientific expedition to study the Nile, but that was canceled when Napoleon invaded Egypt. As an alternative, others declare that Humboldt, a Francophile, actually wanted to join Napoleon there but it didn’t work out for reasons that they never specify. That same year, thanks to his fame earned by published papers on geology and botany, Alexander von Humboldt was invited to join the renowned French explorer Louis Antoine Bougainville in a five-year journey around the world. It didn’t work out. First France replaced Bougainville with Captain Nicolas Baudin. Then the country went to war with Austria, and there was no money left over to fund the expedition. 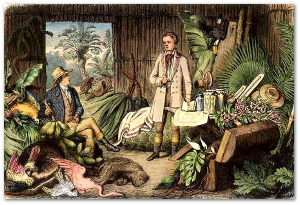 A disappointed Alexander von Humboldt and Aime Bonpland – the botanist from the postponed trip – decided to set up their own journey, using Humboldt’s money. First they looked into visiting Morocco and exploring the Atlas Mountains. However, they dropped the idea upon hearing that Europeans were routinely imprisoned and tortured there. Humboldt had an “in” with powerful people at the court of King Carlos in Spain, so he and Bonpland next decided to try their luck in Madrid. Because they were what we’d call nerds, the two men walked to the capital city of Spain from Marseilles, France, collecting plants along the way, mapping the landscaping, and demonstrating for the first time that the Spanish “plain” was really a plateau. They arrived at the Spanish court in February 1799. Humboldt’s contacts and his willingness to finance his own expedition led to the unprecedented granting of an open-ended passport for the two non-Catholic, non-Spanish explorers. They were given permission to “make astronomical observations, measure the height of mountains, collect whatever grew on the ground, and carry out any task that might advance the Sciences” throughout the Spanish colonies. Few Europeans who were familiar only with the English- and French-speaking colonies further to the north had any idea what these parts of the New World were like. Humboldt and Bonpland left for the Canary Islands aboard the Pizarro on June 5, 1799. After evading British war ships (Spain was allied with France), they soon reached Tenerife where Humboldt is still remembered today. Humboldt’s explorations of Tenerife – collecting data, admiring Nature’s, observing the local imperial politics, and taking note of native people – set a pattern for the next five years. 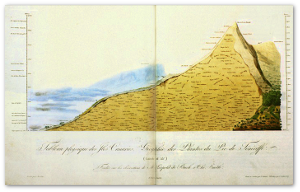 In the company of the local French consul, Humboldt and Bonpland climbed the 12,200-foot-high volcano Pico de Teide on June 21, noting vegetation and temperature changes on the way up; collecting other data as well as a number of holes in their clothing from sulfuric acid gas as they explored the summit; and enjoying the view. We ask at Tenerife what is become of the Guanches, whose mummies alone, buried in caverns, have escaped destruction? In the fifteenth century almost all mercantile nations, especially the Spaniards and the Portuguese, sought for slaves at the Canary Islands…The Christian religion, which in its origin was so highly favourable to the liberty of mankind, served afterwards as a pretext to the cupidity of the Europeans. Every individual, made prisoner before he received the rite of baptism, became a slave. Humboldt was strongly against slavery, but he wasn’t perfect. He mentioned without criticism, for example, the contemporary belief that black Africans were subhuman. However, unlike some other white Europeans, he didn’t try to turn the Guanches into “noble savages.” They were human beings, he maintained, and he made observations about them and then reasoned things out as well as he could. 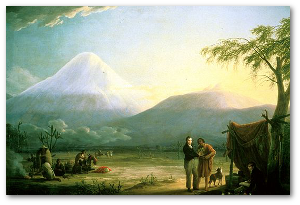 Throughout his travels, Alexander von Humboldt always noted the presence and human condition of the indigenous peoples whom other explorers had usually ignored. 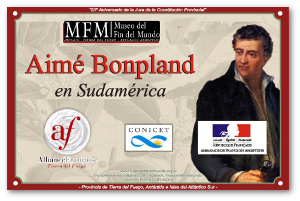 From Tenerife, Humboldt and Bonpland sailed for Cuba. They had brought an extensive collection of the best scientific instruments of the time. With these, they collected data during the crossing on such things as geographic location, meteorology, ocean salinity, and Earth’s magnetic field. It was a quiet voyage but a typhoid outbreak aboard the Pizarro forced the ship’s captain to skip the Havana stop and continue on directly to Venezuela. On July 15, the Pizarro reached an island near the mainland. Humboldt became friends with the local native, Carlos del Pino, who came aboard that day and guided the ship in to port. 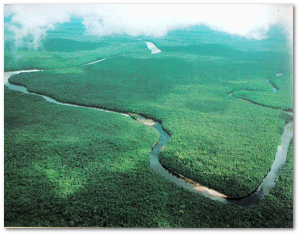 Del Pino joined their expedition and would soon guide them through the remote and unexplored Orinoco river basin. Humboldt and Bonpland spent sixteen months in Venezuela, first exploring the coastal areas and then heading into the interior with del Pino, up the Orinoco River. Eventually, late in 1800, Humboldt and Bonpland left Venezuela for Cuba. In Havana, they stored their collections and notes, intending to travel to the United States. However, they heard that Captain Baudin’s expedition had finally gotten going and was now bound for Lima, Peru. Of course they wanted to meet him. In March 1801, the two explorers left Cuba for Cartagena, in what is now Colombia, where they intended to cross the isthmus of Panama and catch a ship to Lima. Unfortunately for them, this was the era of sail and the trade winds died down for the season just as they got to Cartagena. They were Alexander von Humboldt and Aime Bonpland. Of course, they now decided to walk across the Andes and meet Baudin in Lima. Today it takes a plane five and a half hours to make the trip. It took the two men 16 months, but they did stop along the way frequently to do science. Humboldt and Bonpland walked into Lima one October day in 1802. I don’t know that they ever caught up with the Baudin expedition, but their researches and adventures along the way – including setting a world climbing record on Mount Chimborazo – did make the trek worthwhile. 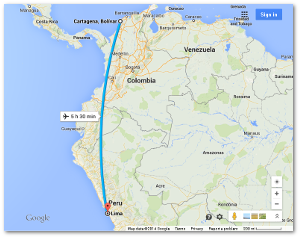 From Lima they sailed up the coast to Guayaquil in modern-day Ecuador. Then they went to Acapulco, Mexico, arriving there in March 1803. For the next year or so, they explored that country, primarily the region around Mexico City. 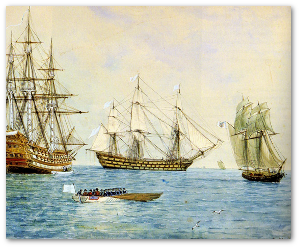 In March 1804, they sailed from Veracruz to Havana to work over their collections and get them ready for Europe. After a few weeks there, they headed for the US, stopping first in Philadelphia and then going to Washington, D.C., where Humboldt met President Thomas Jefferson, advising him about the political condition of the Spanish Empire as well as New World science and becoming his life-long friend. 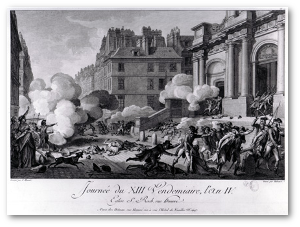 On July 9, 1804, after getting a pass from the British (who were still at war with the French), the explorers sailed back to Europe, reaching Paris in August, where they received a hero’s welcome. 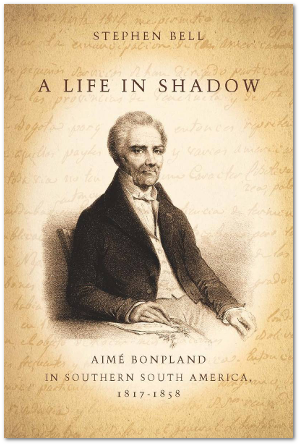 I have focused here solely on Humboldt and Bonpland’s timetable and overall path during their awesome New World journey. There just isn’t room to cover even the high points – things like experiments with electric eels in Venezuela, learning how to make curare-tipped darts, Bonpland saving Humboldt (who couldn’t swim) from drowning, and so forth. Please, somebody, make a good movie about this adventure. In mid-October 1804, Humboldt began presenting reports of his journey. 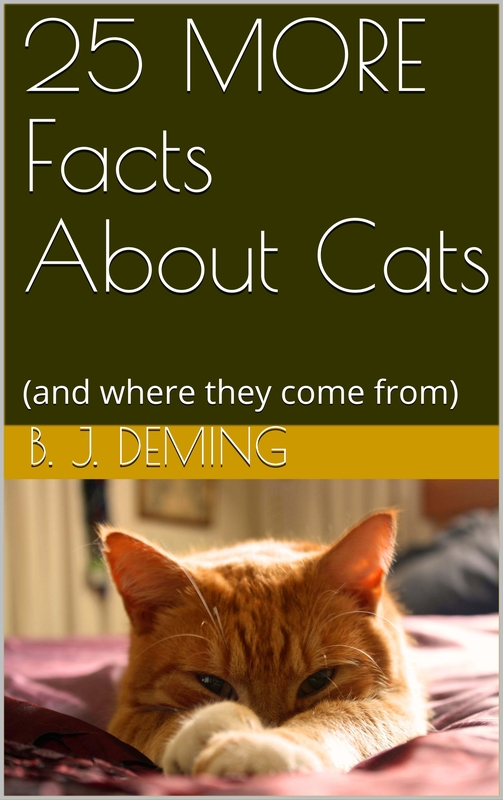 He still had a fortune and would spend the rest of it over coming decades in publishing the results of his travels. Those publications began in 1807 with Aspects of Nature and the first volume (which was called Essay on the Geography of Plants) of what would turn into a multiple-volume series called Historical account of the voyage to the equinoctial regions of the New World, made in 1799, 1800, 1801, 1802, 1802, and 1804. Perhaps Hollywood hasn’t touched the books yet because they are written for the powdered-wig era (and by one of the greatest “Renaissance men” the world has ever seen). Some of them were best sellers back in the day, but a modern audience might find Humboldt’s style difficult to follow. Sometimes he wrote with a dry scientific or political observer style (nonetheless, his antislavery views got one of his books about Cuba banned there). Other volumes, though, were basically adventure stories. And the fact remains that Humboldt and Bonpland went out, armed only with Spanish passports and the inquisitive spirit of the Age of Enlightenment, and explored a sizable chunk of modern-day Latin America. They believed they could…and so they succeeded. 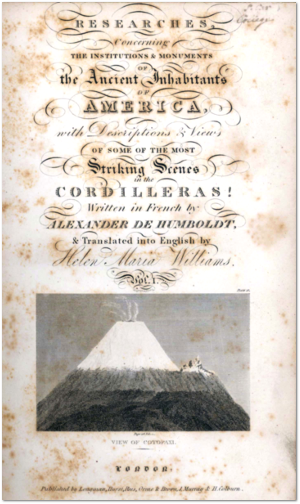 Of special note are the seven volumes of the Historical account that Helen Maria Williams translated from Humboldt’s original French into English (several different translators worked with Humboldt’s publications, and so these are known by slightly different names today). The English botanist John Stevens Henslow gave at least one of those volumes to his favorite pupil, Charles Darwin, whom he had just recommended for a position on the Beagle. The story of Alexander von Humboldt doesn’t stop here but we must, for now. In 1827 and 1828, Humboldt gave a series of public lectures at the University of Berlin. 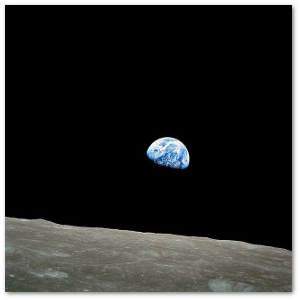 He told people that all he had observed was really just part of one big and interconnected whole. Next week we will take a look at Kosmos, the book series Humboldt built upon these lectures and how it relates to the modern Cosmos series of our own times.